Thailand is known around the world for the beauty of its shores. From the paradise islands in South of the country to the Northern Gulf Beaches, or the Andaman Sea to the West, you will be spoilt for choice when it comes to finding a place to put your beach towel! If you are looking for the best beaches in Thailand for your holiday, you are in the right place. Read on to discover sandy beaches, breathtaking views of the sea and lots of unique nature. When it comes to mainland beaches, island paradises or peninsulas, the choice here is vast. The country and its seaside areas are divided into many parts. Below, we’ll run through the top 10 destinations in Thailand for beach holidays, grouped by region to make life that little bit easier – just as it should be on the beach! Lined with breathtaking scenery, the west coast of the Gulf is the perfect place for rest and relaxation. Its spectacular setting and lush nature will take you away to another world and a change of scenery from what you’re used to is guaranteed. 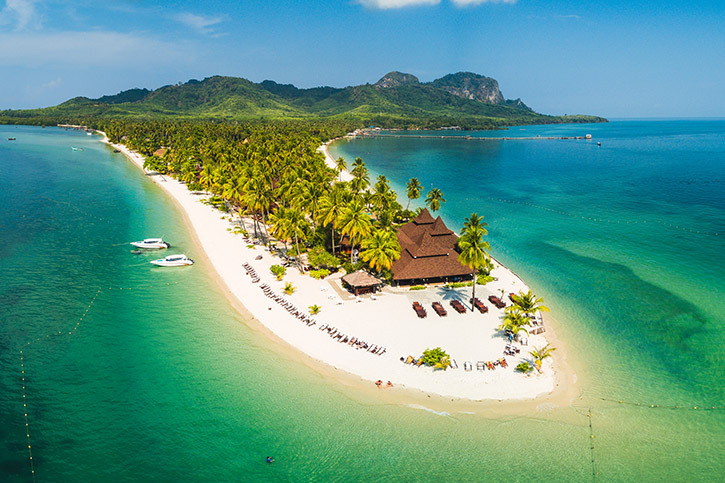 The main coastal provinces of the West are Cha Am, Hua Hin, Chumphon, Surat Thani, as well as the paradisiacal islands of Koh Samui, Koh Pha Ngan and Koh Tao. The first beach on our list is Hua Hin Beach, which stretches for almost 7 km from downtown Khao Takiap and is a popular seaside resort for a Thai holiday. The best spot on this beach is the southernmost section. The north of the beach is also a pleasant place, but here the sand band is smaller – sometimes non-existent at high tides – and can be mainly rocky in places. Further south, the beach is calm and clean, the water is hot (34 degrees on average) and the sand is pure white. 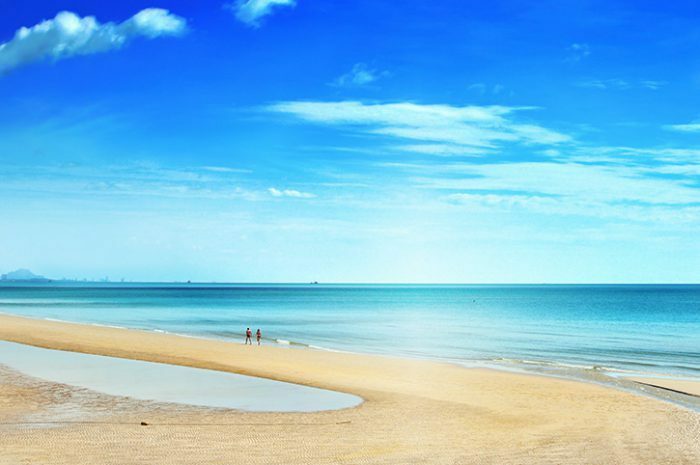 Hua Hin Beach is perfect for relaxing on the sand as well as for taking a quick dip. It’s not all about R&R here, though. In addition to walking in paradise, horseback riding is a popular pursuit, whilst bars, restaurants and authentic Thai food aren’t too far away. Discover our favourite beachfront hotel in Hua Hin. The island of Koh Pha Ngan is much wilder than Koh Samui which is located a few kilometres to the south. Three quarters of its surface is covered with thick jungle and the coastline suddenly reveals pretty coves. Hikers will be delighted by the many paths found here. Koh Pha Ngan also attracts people worldwide who have heard of its famous Full Moon Parties. The second beach on our list lies here. White sand and crystal clear waters are on offer, as well as a family-friendly and trendy atmosphere. This is well and truly the most beautiful beach in this area! An added bonus, you can also enjoy a walk to the nearby village to find a small restaurant for lunch where the choice is large and enticing. From here, you can also choose to do a bit of shopping. The beach may be the main attraction but this is one of the nicest villages in Pha Ngan. Discover our luxurious beach hideaway hotel on Thong Nai Pan Noi beach. Do not miss an excursion to the emerald islands of the Mu Ko Ang Thong Marine National Park which evokes more images of tropical paradise. Koh Tao’s reputation far exceeds its small size too. Thanks to its multicoloured corals and its extravagant aquatic fauna, the island is a paradise for divers who come in large numbers. It can at times feel like the edge of the world. In the south-west of the country, the Thai coast is bathed by the Andaman Sea. 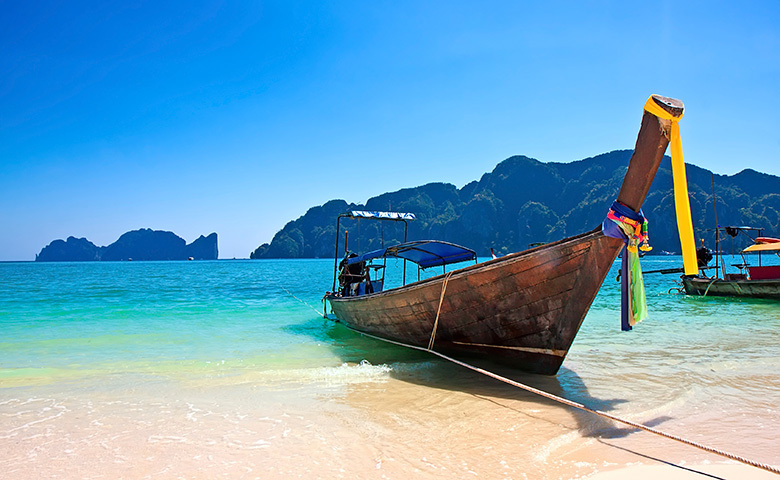 The west coast of the peninsula stretches for 650 km, with the region between Phuket and Krabi being the most popular. Having said that though, this region offers many opportunities for travellers to escape off the beaten path. At 80km north of Phuket, Khao Lak offers beautiful landscapes and beaches. This is a popular destination for divers and the city is located on a beautiful coastline alongside a natural park made up of forests, cliffs and waterfalls. Krabi is, for many, the most beautiful province along the Andaman Sea. The lightness of the coast, with its characteristic sandy beaches and crystal clear water, as well as the lush tropical vegetation that descends to the sea, give a grandiose feel to this region. Not to mention, of course, its rustic cliffs and offshore islands – the most famous of which is Ko Phi Phi, the filming site of the movie ‘The Beach’ – and the famous Koh Lanta. Krabi is also rich in green sites such as the Khao Phanom Bencha National Park, a lush natural area with impressive waterfalls and a wide variety of wildlife. This destination is simply sublime. Although a popular spot, this beach is long enough that you won’t have to worry about sharing your towel with the feet of your neighbour, whilst unforgettable sunsets are perhaps the biggest highlight. It’s a little postcard of Koh Lanta – perfect for making your friends back home jealous with a few well placed Instagram snaps! 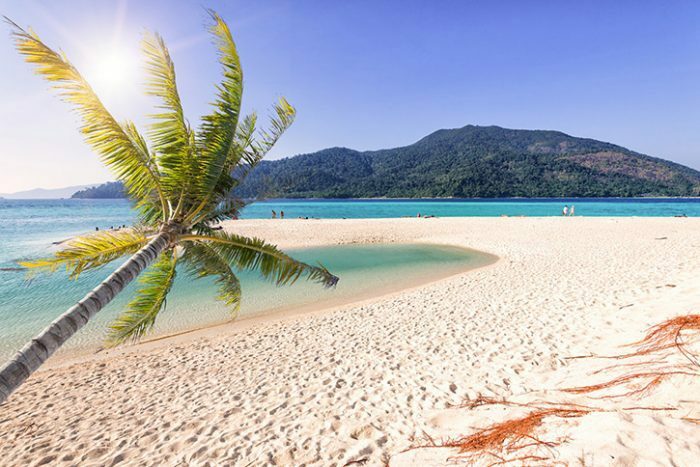 Koh Chang is a great destination for those looking for some of the best beaches in Thailand. There are many on offer here, all of which are beautiful. Some are lined with pretty beach houses that have only added to the reputation of this area. They also offer something for everybody, from famous and luxurious spots to quiet and more deserted areas, perfect for a peaceful retreat. The main beaches of Koh Chang are Lonely Beach, White Sand Beach, Kai Bae Beach and Khlong Prao Beach. A stay here allows you to take in any of these wonders, so think about creating an itinerary to mix it up over the course of a few days and see all that the island has to offer. Indeed, a visit the Emerald Cove is also a must – an incredibly beautiful spot which is well worth a visit. Koh Lipe consists of three main beaches: Sunset Beach, Sunrise Beach and Pattaya Bay. This tiny island is full of charm, and also a place where you can walk from beach to beach in minutes. Pattaya Bay is the most bustling beach on the island, Sunset Beach is the most secluded and Sunrise Beach is certainly the most beautiful. It’s well worth trying all of them though – after all, they’re only a short walk between one another! Discover our top beachfront hotels in Krabi. Located in the Andaman Sea, the beaches of the Similan Islands are for many the most beautiful beaches in Thailand. Take a speedboat out into the ocean to discover the flora and fauna of these spectacular islands. The Similan’s are also famous for diving. Sharks, giant tortoises and multi-coloured fish are all present in the area and make for perfect new friends to visit when you’re bored of the beach (as if)! The famous Koh Lanta is a large island with many beaches in the North and South, including Klong Dao, Klong Nin and Klong Khong. The North of the island offers beautiful sandy beaches, ideal for swimming, while the South has rocky beaches, more suitable for snorkelling. It depends on your preferences here – do you want a relaxing day under the sun or are you more adventurous and in search of local wildlife? Whatever your answer, you will find it here. We highly recommend you build a rough itinerary that exhibits the best of both worlds for a real taste of Thailand’s beaches and island life. 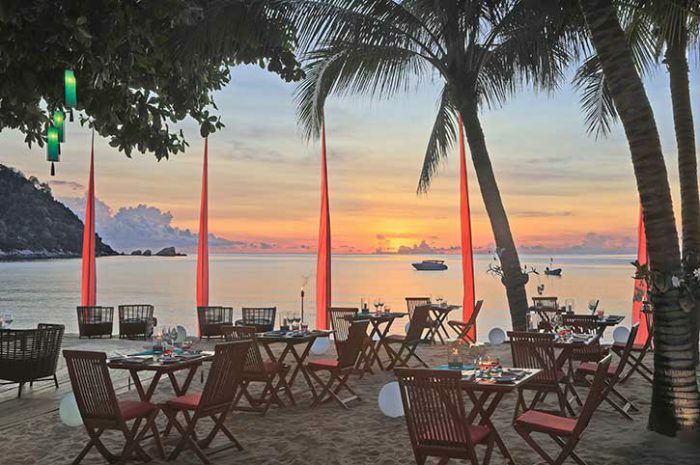 Discover our top Koh Lanta beachfront resort. The centre of Trang is a great experience. It is likened to Bangkok around 50 years ago, with its old wooden buildings, authentic and delicious local cuisine and friendly locals and very few tourists. This city is the perfect base for two hidden paradise islands: Koh Mook and Koh Ngai. The island is the third largest in the Trang Sea, yet it is small enough to easily get around on a motorbike, bicycle or on foot. Koh Mook is home to the spectacular Morakot Cave also known as Emerald Cave, a must-see attraction on the west coast of the island. The largest island in Thailand, Phuket is nestled in the heart of the gentle waters of the Andaman Sea in the Indian Ocean. The area grew thanks to its tin and rubber reserves and has a rich and colourful history. The island was located on one of the main trade routes connecting India to China and was commonly indicated on logbooks of foreign merchant vessels. These days, Phuket is better known for its beautiful coves and bays, its sandy beaches lined with palm trees and its islets which can be explored by intrepid visitors. The locals are hospitable, the seafood is superb, and the refined Sino-Portuguese architecture from the beginning of the century is stunning. Excursions are on offer in this luxuriant tropical landscape, as well as gorgeous beaches that make it the perfect Thai holiday spot. To us, this is probably the most beautiful beach in Thailand! Why, you ask? Well, there is no hotel on the beach, meaning it’s a little quieter than others for starters. There is also good weather all year round making the water the ideal temperature, the sand is fine and soft and the beach is extremely clean. The beauty of Nai Harn is in its unspoilt setting, so do not expect to find too much in the way of activities or restaurants here. This is a paradise for those looking to relax in beautiful surroundings, even if it’s just for a day, it’s well worth a visit. Karon Beach offers dreamy scenery with beautiful rocks and creeks. It’s perfect for those all-important poses and snaps to add to your souvenir photos of Thailand. Unlike Nai Harn, this is where you’ll find the widest choice of nautical activities and entertainment in Phuket. 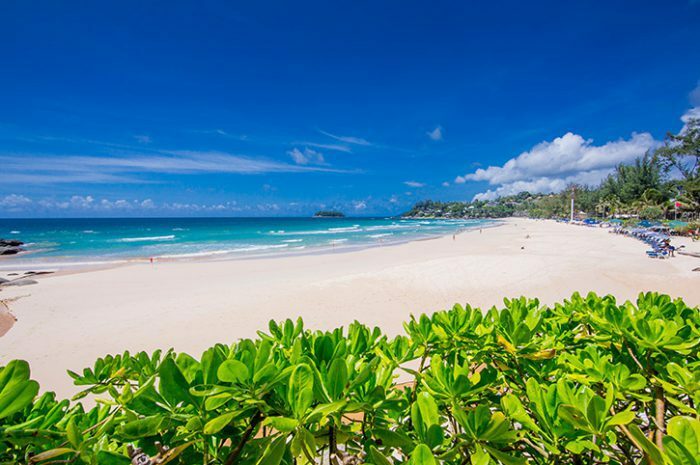 So if the idea of an entire week of nothing but sunbathing drives you stir crazy, Karon Beach is for you. This is not the quietest or most unspoilt landscape in the country, but the setting is still splendid and the beach is picture-perfect stunning. This spot is most famous for its bath-like warm water temperatures. Our final destination is one of the most popular sites in Phuket, but Kata is still a quiet option to the hustle and bustle of Patong. Kata Noi and its sister Kata Yai are separated by just a ten minute walk so do not hesitate to test both out. Here, treat yourself to a traditional massage, ensure you enjoy a fresh fruit juice and simply succumb to the natural beauty of Thailand. Choose our favourite Kata Noi Beach Resort for your Phuket holiday. We may have concluded our top 10 beaches in Thailand but that doesn’t mean there isn’t a lot more to explore! 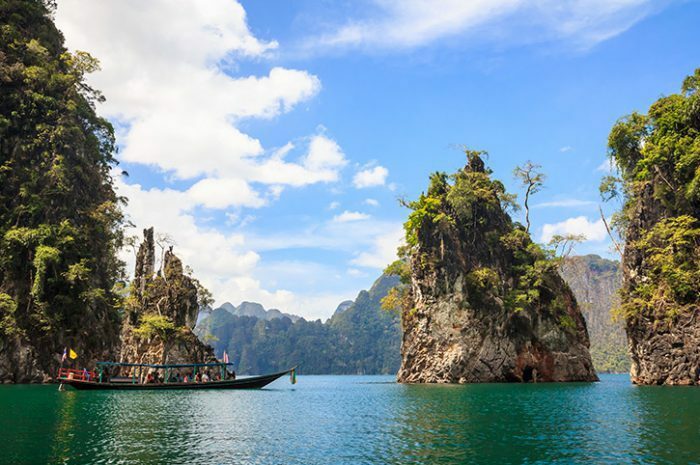 Thailand is a paradise for explorers and those in search of relaxation alike. The east coast stretches for about 500 km, from the Chao Praya estuary to the Cambodian border and is worth a visit in itself. Bays and spectacular beaches follow one another, including the sultry Pattaya. There are also small fishing villages, quiet coves, orchards, islands and national parks that are little frequented. Enjoy these top 10 best beaches in Thailand on your holiday and if you’re a beach lover, make time for as many of these gems as you can.